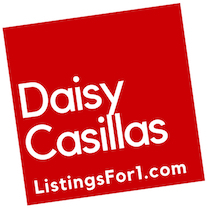 Please feel free to call or text me at (206) 866-8090, email me at DaisyCasillas@gmail.com or submit your inquiry below. If you’re interested in a Comparative Market Analysis (CMA) for the purpose of listing your property for sale, be sure to include the address of the property. Thank you!